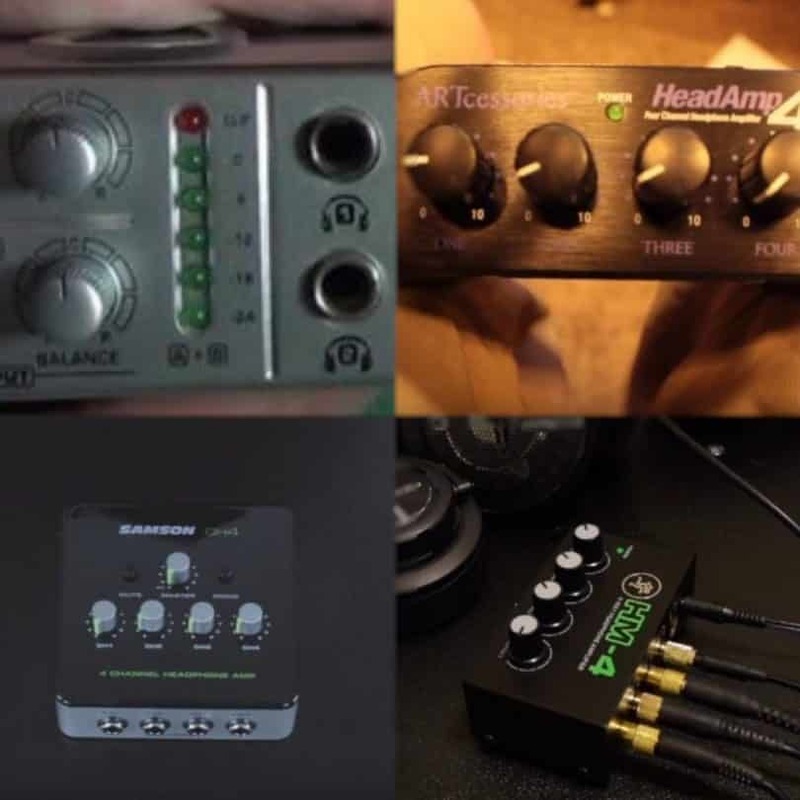 Best Cheap Headphone Amp Reviews: Top-5 in April 2019! What is The Best Cheap Headphone Amp? To make a headphone perform to its full potential and hear more details along with loud sound, you’ll need a headphone amplifier. And also to increase the sound level signal that reaches your ear, a good headphone amp is the only solution. Therefore, a headphone amp is that little music device or tool that will drive the signal from your sound system and increase both its volume and detail. Now, one of the merits attached to this is that you don’t need a huge budget before you can get this tool. For professional studio or stage monitoring or if you are simply looking for a way to get more output from your headphone, you certainly will have to buy a headphone amp. These top quality portable amps help bypass regular listening devices and audio output and process audio signals before boosting them and driving your headphone to perform better. Furthermore, if you know what you’re looking for, then choosing a headphone amp that suits your need shouldn’t be a herculean task. So, the good news here is that some of these headphones including those on our list have been designed to allow multiple users with different headphones to listen to the sound with the option of independent control of each of their headphones. Despite its importance, you don’t need too much to get a headphone amp. So without wasting much time, let’s get into the important aspect of this post; here are some of the most affordable yet high-quality headphone amps you can get. This Ultra-compact 9.5″ four channel amplifier from Behringer delivers top quality audio projection on any type of headphone no matter the volume at which you are playing. The AMP800 is applicable both for studio and stage use, allowing you to easily track multiple musicians at the same time or making it possible for more than one person to listen on a playback. And the persons listening all-together can as well control and monitor their sound level individually. This headphone features four complete independent high powered amp sections that help to deliver the highest quality of sound no matter the type of headphone, and at whatever sound volume you are playing at. You get two balanced main inputs working with independent controls which allow for individual mixing for all the headphone amplifiers. A 6-digit LED input meter also provides an accurate level indication for the two input lines. You can connect a total of 8 headphones on this amplifier’s front and rear panel. This amp can also be stacked with other amps in the series for ultra-compact signal processing. Sabaj PHA2 is an upgraded version of PHA1. 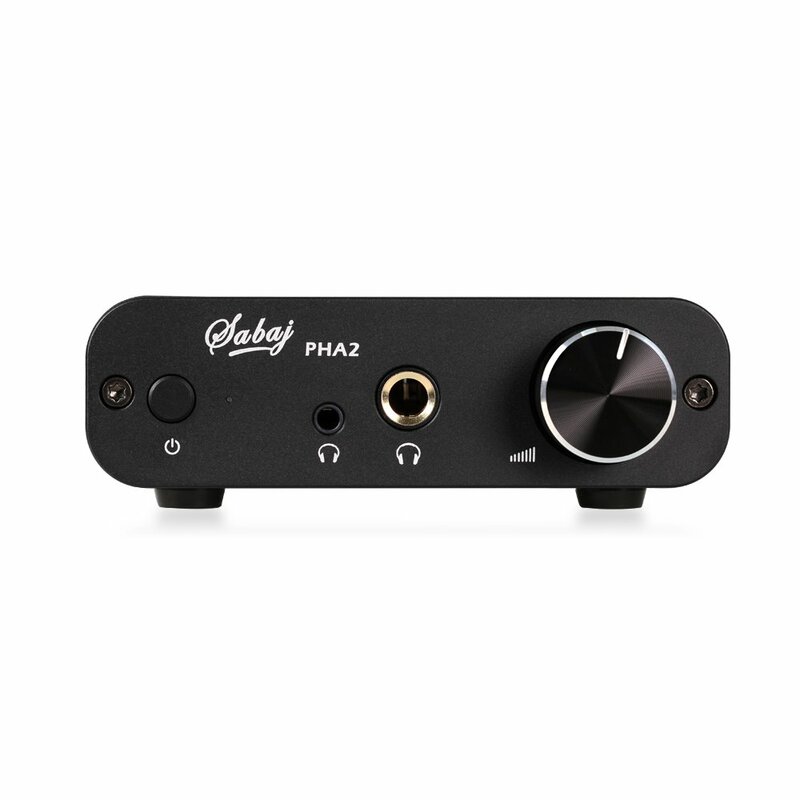 The major difference between this headphone amplifier and its predecessor is that it works with a higher output power compared to the PHA 1. It makes use of its Built-in Sabaj-patented power boosting module to increase power input to +-15V from a mere 5V; this allows it to drive all types of headphones including those with high resistance. With this headphone amplifier, you get audiophile quality sound thanks to its power boosting module and powerful headphone amplifier chips. This allows it to efficiently drive any headphone connected through its 3.5mm/6.35mm low and high resistance input jack. It has a sleek and impressive look with a top quality CNC aluminium cabinet. It makes use of a 5V power input with an option of using a power adaptor directly or powering it with a Micro USB. It also uses an RCA analog input for active speaker connections. Great value for such a low priced product. The AMP/DAC combo works fine. Can drive all types of headphones. Compact design & solid construction. Simple, solid and works great. Single input and output channels. You can’t charge the battery and use the device all at once. The treble doesn’t seem particularly awe-inspiring. Low battery life; you’ll have to charge it always. 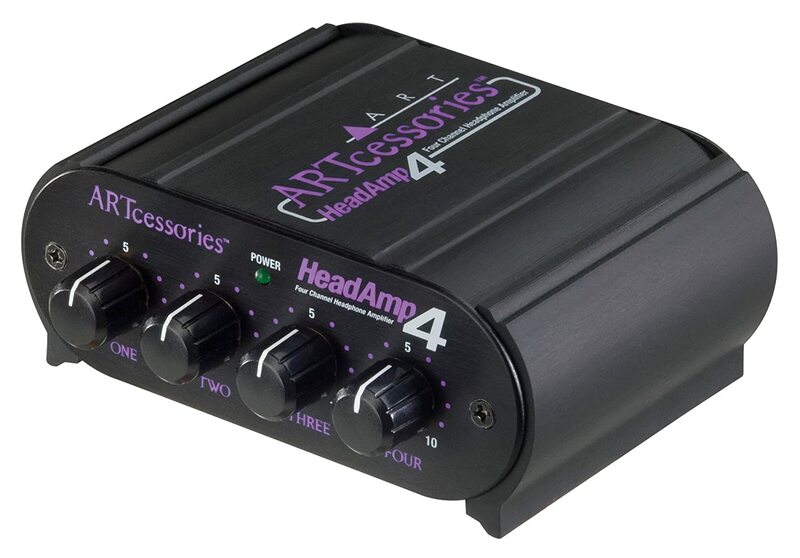 This portable Headphone amp features four multi-channels which makes it possible to connect the monitor amp to the tape deck headphone or a mixer output thus making it possible for performers in a studio during a recording or band rehearsal to hear themselves while they play. This particular headphone amp brand is a fast growing brand that all musicians, studio engineers and DJs would love to associate themselves with. 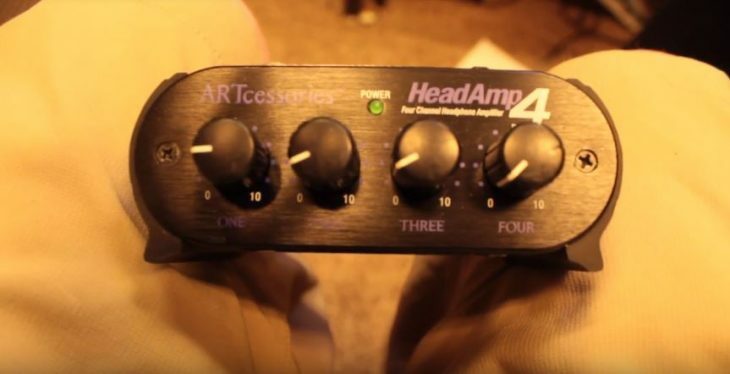 This headphone amp can be used in the studio project or at home. This headphone amp amplifies and also provides individual control for up to four headsets at the same time. It is driven by either headphone amplifier signals or line level signals. This versatile head amp features both 1/8-inch and 1/4-inch inputs and outputs ports and offers very low noise and lower distortion. It is ideal for simple home use as well as for studio projects as well. It helps you add headphone output to mixers, computers, workstation, iPod media player and so on without necessarily adding any load to the existing source. It does not come with an audio cable for connecting audio devices to the amp. 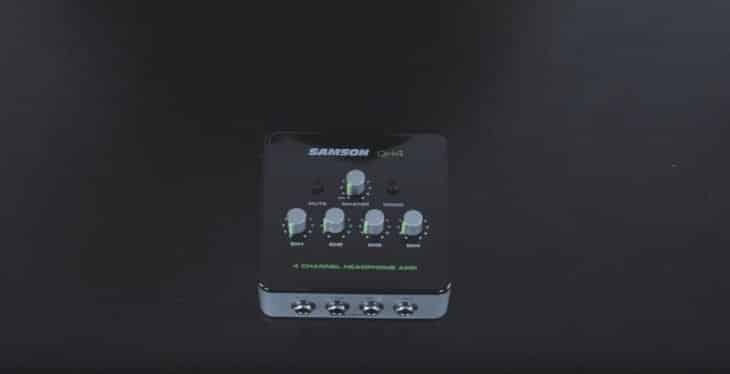 The Samson brand is perhaps known as microphone manufacturer but over the years the brand as diversified in its product line. Now, The QH4 is a 4-channel headphone amp which allows you to distribute your audio from a source to 4 different headphones. With this headphone amp, each of the connected headphones gets its volume control. This headphone amplifier is suitable for use for both studio or home use and can connect to your desktop workstation, laptop or even smartphones. 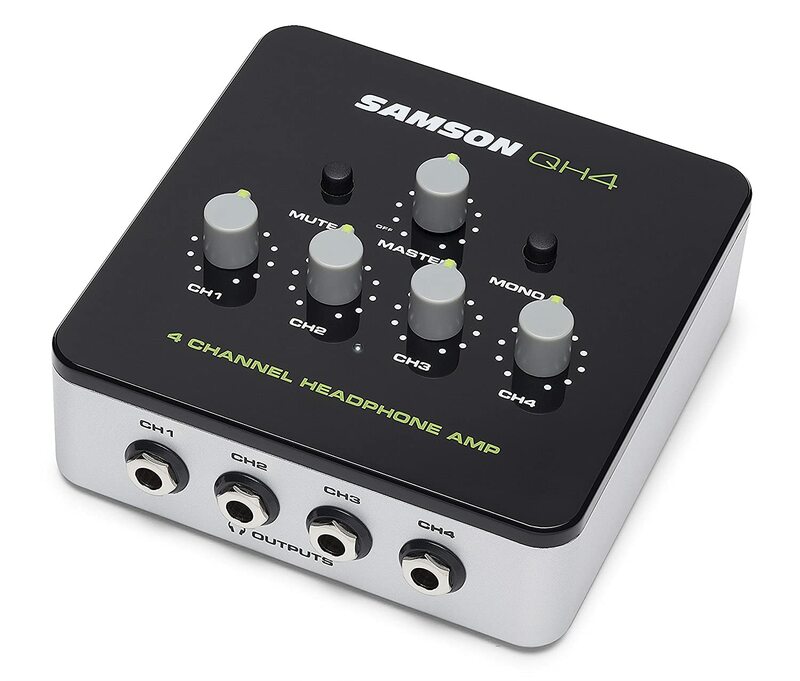 The Samson QH4 comes with two ¼” inputs which are used to connect to a sound source such as a recording interface or mixer. It also features a stereo 1/8″ Auxiliary input which connects to your smartphone or any other line level device. You can connect up to 4 different headphones one the 1/4″ stereo headphone outputs. In addition to these, there is also a 1/8″ Aux Out port which is used to connect multiple QH4s if you want to form a daisy chain. You get four independently powered channels which deliver clean audio in all four headphones. It also comes with a master volume control and mute switch besides the individual channel controls which can be used to control all the headphones easily. It has a plastic casing. 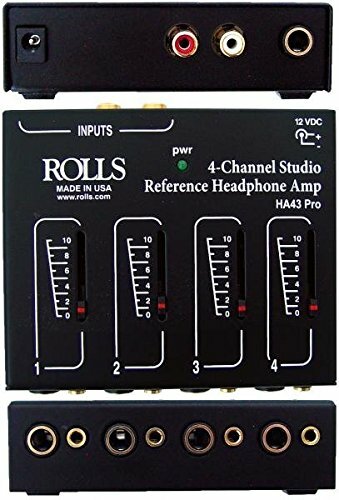 The Rolls HA43 Pro is a full frequency response multi-channel amplifier that allows you to monitor sound produced from a source from 4 different headphones at the same time. 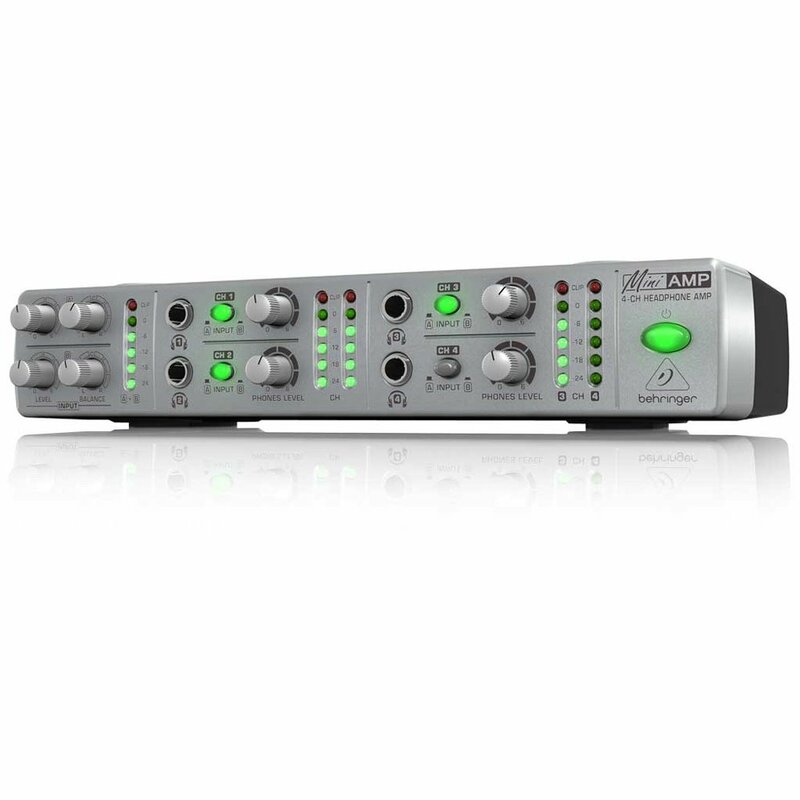 This powerful four-channel monitoring device is applicable for use in studio recording, and other professional applications as well as for personal domestic use. This headphone amp has a portable but sturdy design. Its chassis is made from high quality vinyl laminated steel and features a 1/4″ in and out jacks with channels for four pairs of stereo headphones. Each of the output boasts an astonishing 20dB of clean channel gain, and you also get volume control of each of the headphones. It sports a 10Hz-30kHz response that helps to deliver crisp and clean sound. Distortion when the sound gets too loud. We have taken the liberty to review some of the very best headphone amplifiers that will guide you in selecting that suitable one. And I believe after going through this post rigorously, you shall unlock your interest to choose one of the listed headphone amps as your music buddy. However, if you haven’t done that, then I strongly advise that you do. All these headphone amps actually serve the reason for which they are built. The reason is to provide more power to the headphone and also increase the quality of sound. 4 outputs! That sounds great. Thank you owen for this amazing article. Found Samson QH4 really interesting thing!